The first thing I have to tell you about wills and trusts is that we cannot write wills and trusts for you. You need to go to an attorney to have them drafted – or act as attorney for yourself and write them yourselves. I am not a licensed attorney and therefore I cannot draft them or give you legal advice on how a will or trust should be drafted. A holographic will is accepted in North Dakota and is a handwritten will by the decedent. Many people do write changes in their existing will, but this is different from a holographic will. People who write additions or changes into their existing attorney drafted will may cause the probate courts to invalidate it. Wills basically provide two basic needs: Who gets your property? When will they get the property? There are many types of trusts, including Revocable Living, Irrevocable Living, and Irrevocable Testamentary. A Revocable trust is another method of property ownership for individuals or couples. Other methods might be Joint Tenancy With Right of Survivor, Tenants in Common, or Sole Ownership. A Revocable Trust ownership broadens the definition of both ownership during your lifetimes, the ability for a successor to step up and help you should you become unable to handle your affairs, and also to act as your attorney of fact upon your death to distribute your assets properly. An Irrevocable Trust can be one of two types – Irrevocable Living or Irrevocable Testamentary. An Irrevocable Living Trust is a trust created during your lifetime. It is a separate entity, has its own tax ID number, and functions as an ownership vessel. Once created and assets are transferred to such a trust, the assets are no longer owned by the grantors, but by the trust itself. All control of these assets is given to the trust and its trustees by the grantees and, for such a trust to be validated, the grantors have no say in how the property will be managed beyond this point. The grantors become income beneficiaries and exercise no control of the assets or they will invalidate the trust. Irrevocable Testamentary Trusts are created by your will. In the case where you do not want assets going to your heirs directly upon your death, or wish to put them aside should one of your beneficiaries die before you do, your will can create such a trust to hold the assets until you deem it to be the right time for your beneficiaries to receive them. Such conditions might be based on a time frame – until the children are older or reach a certain age. Or they might be based on lifetime activities – such as the child is still ‘actively participating’ in farming. The verbiage in either your will or your trust is entirely up to you. How you’d like things to be handled – should you live, should you become disabled, or when you die – is entirely up to you. 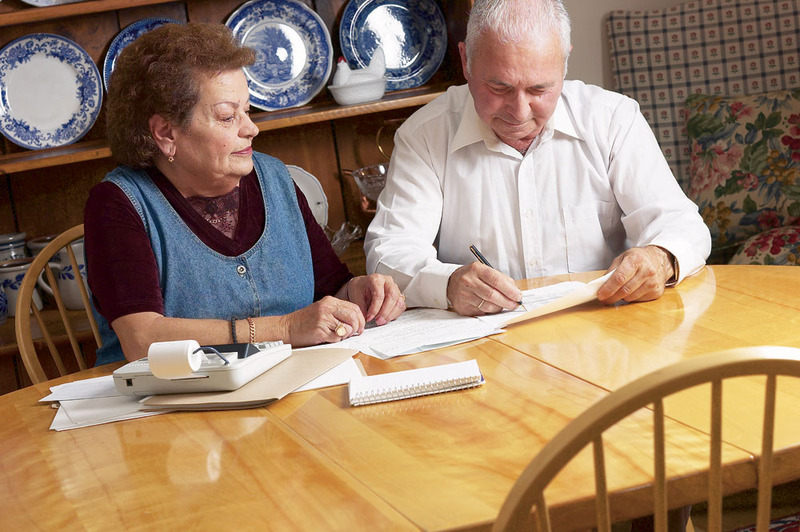 All families need to sit down and discuss exactly what they want to put into a will or trust for their estate plan. This is normally the first question an attorney will ask of you is ‘What do you want to put into your will or trust?’ Without any forethought or discussion, people may end up with a will or a trust that does not encompass all their wishes or protect their property properly. My job, pure and simple, is to have the necessary discussions with you regarding your life, your family, and your farm to crystallize in your mind what you want to accomplish with your will or trust. An estate that took thirty, forty or fifty years to build shouldn’t be handled in a one or two hour discussion prior to drafting a will. Another reason people have wills or trusts which don’t encompass all they would like to see protected is this. ‘I don’t know the questions I need to ask myself prior to talking to an attorney. I don’t know what all I should be worried about in regards to my own family situation and farm estate.’ That’s our job. With over thirty years of experience in the farm and ranch field, we have seen virtually every scenario possible and it’s our job to explain to you how other farm and ranch families have successfully completed their estate plans. By understanding all of the options open to you, you can make the right decisions for your own personal estate plan. Once completed, you then take a summary – which we provide – to your attorney for drafting and completion. The attorney will take all of your desires and needs and put them into legal format for you.